Here is a comprehensive list of garage door repair FAQs. All essential areas are covered. Should I buy a separate lock for my garage door? If you have an electric garage door, a separate lock may not be necessary, since electric openers already act as the lock, keeping anybody else from prying it open from the outside. 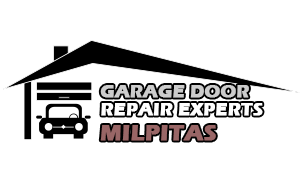 If you have an older model, however, Garage Door Repair Milpitas professionals encourage you to check first if you can lift the opener from the outside. When no opener is available, a lock is very much recommended. Why do I need to lubricate the rails and other moving parts of my garage door? Rails and other moving parts of your garage door that are not lubricated will become noisy and irritating if not lubricated quickly. This will also result to further damages to the parts. Rails that are not lubricated will have difficulty in opening and closing smoothly. Hence, regularly check and lubricate garage door rails and other moving parts. We’ve had a vehicle bump into our garage door; will I have to replace the whole thing? It may be possible to replace the bottom sections of your door, providing the sections are available. If your garage door is an older model, you may have difficulty finding an exact match if they are no longer manufactured. You should consider the cost of replacing the sections of the garage door against having a new door installed with new tracks and springs. It may be more cost effective to have a full replacement. What are the most common garage door types? The most common garage door is the roller type. These garage doors are made of corrugated and very flexible sheet steel doors. This type works by sliding and rolling on a mount above the door opening of the garage. They can either be manually operated or run by a remote controlled door. If a homeowner wishes to switch to the remote controlled door, it can easily be done via a conversion kit. This garage door type is ideal for families who own multiple vehicles. Do hurricane garage doors work? Yes they do, and our experts in Milpitas recommend them for certain states that are vulnerable to outbreaks of hurricanes. In fact these garage doors are part of the building code for many areas and must be incorporated in order to get planning permission. Their initial expense is covered by all the benefits they bring.